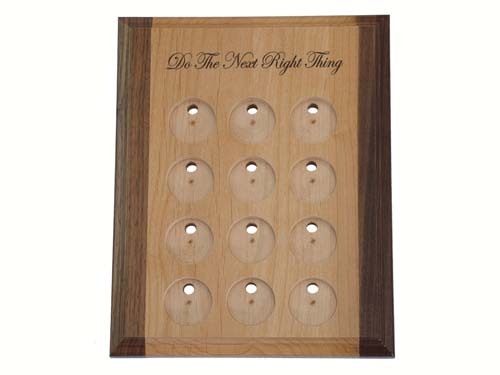 Proudly display up to 12 of your most cherished recovery tokens! 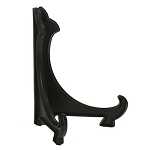 Each of these beautiful token holder/display plaques features 12 spaces for mounting special medallions. 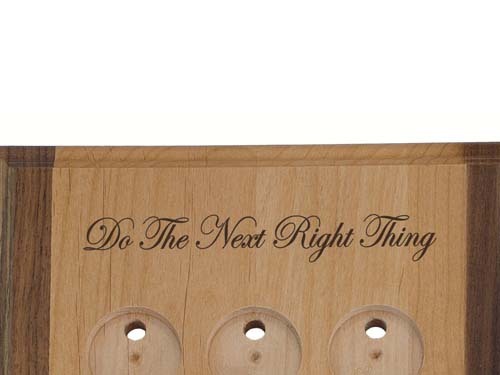 "Do The Next Right Thing" is expertly laser engraved at the top of the plaque. Nearly any other message or phrase request can be accommodated. Simply contact us with your special requests! What a wonderful way to display your recovery tokens!